Fossil human upper jaw. 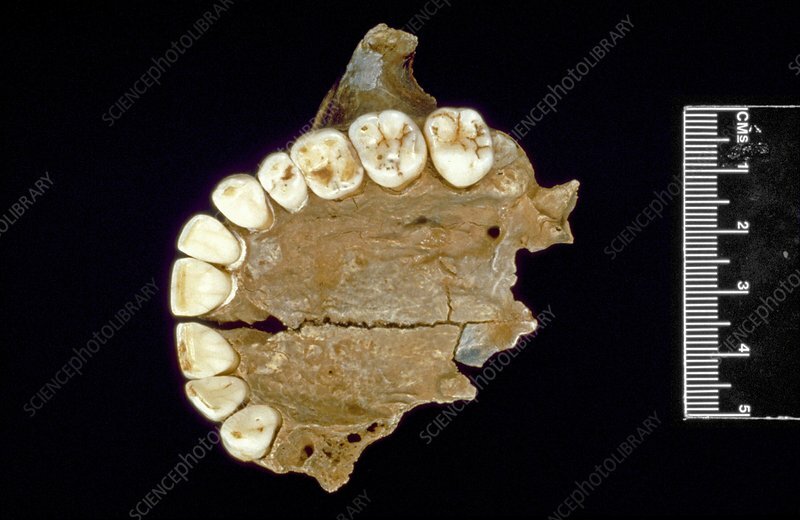 Adolescent human maxilla (upper jaw) excavated from Gough's Cave, Cheddar Gorge, Somerset, UK. Gough's Cave was first explored in 1890, with numerous prehistoric Stone Age bones and ivory and antler tools found in subsequent excavations. Most of findings date to around 12,000 years ago.